It’s the spring of 2009, and on a nondescript gymnasium stage at an elementary school in Montagu, South Africa, a gaggle of local children is putting on a dance show. They’re an exuberant bunch, but as their performance unfolds, a diminutive star emerges from their ranks. His name is Siphe November, and he lives with his family in nearby, impoverished Zolani township, nestled between the Keisie and Kingna Rivers of Kannaland. Siphe doesn’t know it, but amid his fellow performers’ balancés and battements, he is getting a life-altering audition of sorts for a wildly new life 13,000 kilometres away. Kelly Dobbin and Scott Mathison, visiting South Africa on an extended vacation from Toronto, have attended the recital at the invitation of a woman named Fiona Sargeant, the event’s organizer and the dance teacher of the couple’s five-year-old daughter, Ella. Like any parents worth their salt, the couple have come to see their child perform – but soon they find themselves riveted by Siphe. And so Dobbin and Mathison decided to help him stand out even more. 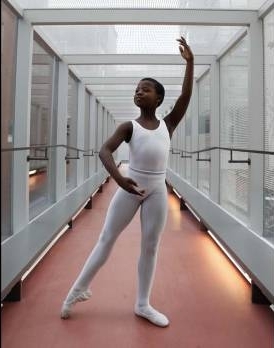 With the pair’s encouragement and help, over the next several months Siphe put an audition tape together for Canada’s National Ballet School. He has since earned a place in the school’s Professional Ballet Program, where he arrived in July to take part in the school’s summer program before starting full-time this fall – under the same teacher who once nudged Rex Harrington to greatness. As the NBS undertakes its annual hunt for new young talent, which kicked off last week with the launch of a 20-city hop from Victoria to St. John’s, Siphe’s unlikely journey continues to quietly unfold. 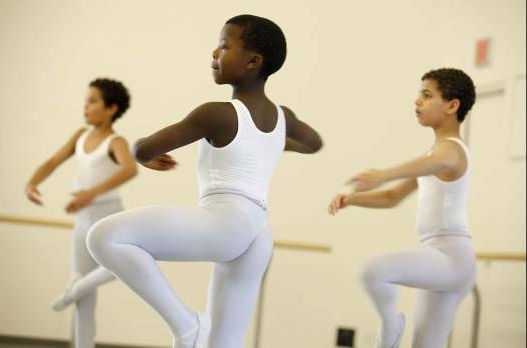 While the Ballet School continues to groom young boys for the tricky title role of the musical Billy Elliot in productions across North America, Siphe’s story reads like the real thing. A matter of months ago, things were as different for Siphe as remote Zolani is from bustling Toronto. A farming community of 7,000 people two hours east of Cape Town, the young boy’s hometown is a place where harvest season provides work for everyone, but where jobs are scarce the rest of the year. “It’s a feast-or-famine community. There’s no real work,” says Sargeant, who lives at the other end of a winding mountain road in nearby Montagu, a largely white town that is also more upscale than Zolani. Siphe is the youngest of five children and lived in a crowded household of nine in Zolani. The tin-roofed home, presided over by his strict but loving mother, Sylvia, has electricity and running water but is otherwise decidedly humble. One thing it never lacked, however, was dance. 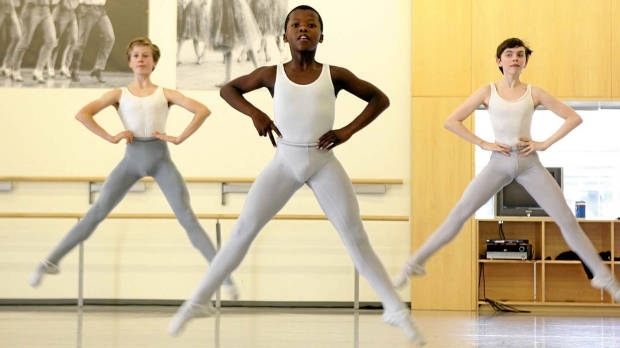 “If your surname is November and you’re living in Zolani, you have these incredible genes that can just make you dance,” says Sargeant, who as a youth danced with the London City Ballet before joining its Cape Town counterpart. Siphe first discovered ballet when one of his three brothers took him to Sargeant’s weekly class in Zolani. His natural ability knocked the teacher off her feet. “He’s one in a million, that one. I’m telling you, he’s going to soar,” she says. Eager to see that happen, Dobbin (a midwife studying public health) and Mathison (a veterinarian) decided they would pay for Siphe to enroll in the English-language stream of an Afrikaans school in Montagu. Simply moving to Montagu brought about a sea change in Siphe’s life: There, he had his own bed, three meals a day and more consistent schooling, especially in dance. He chose to live in a Montagu hostel rather than commute from home each day, “which makes you grow up,” says Sargeant. But it also helped him add English to an arsenal of languages that includes Xhosa, which he spoke at home, and some Afrikaans and Zulu. When offered a year-long place at the National Ballet School, and a chance to live full-time with Dobbin and Mathison, Siphe barely hesitated. Still, before heading to Toronto, he had never travelled more than a two-hour drive from Zolani. Luckily for Siphe, the ballet school’s sole admission criterion is talent, so his complete lack of financial means wasn’t an obstacle. The NBS is underwriting his entire tuition fee – $24,985 for international students – while Dobbin and Mathison are absorbing the costs of his life outside school (with help from some community supporters), and have pledged to do so, if he chooses to stay, until he graduates from high school. The only downside, from Siphe’s standpoint, is that students are admitted for only a year at a time. To stick around, he has to win his place again each fall. He smiles constantly and is very polite. He’s also by far the smallest of the dancers in his Junior Boys class, but has a powerful lower body. When dancing – on the day of our interview, he and his classmates were practising pirouettes and échappés – he is disciplined and focused.